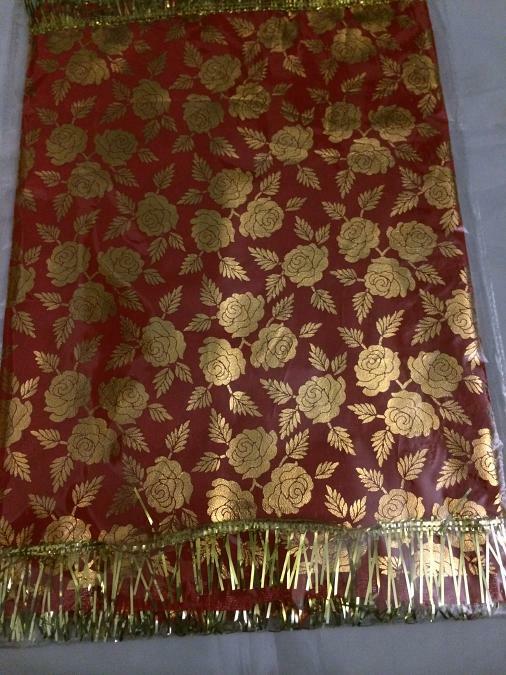 Red & gold traditional floral design mata ki chunni. Buy Traditional Red Mata ki Chunari, sold & shipped by Yaadein where you can shop online for Pooja Samagri, Hindu Statues, Puja Items, Religious Gifts & Home Decor. This Other Festivals collection has been tagged as Navratri, Hindu Pooja Samagri, Paath, Durga Puja, Sikh Women Head Gear, Punjabi Wedding. Small Brass Pooja Thali - 5"